All of the material is decorated in some form of textile patterning technique, which generally falls into one of the three categories referred to above. Most of the material is fragmentary, although the designs can generally still be well recognized. The collection therefore is a major resource for the study of the history of textile design from Islamic Egypt and India. The smallest group, made up of Late Antique and Coptic flat-woven textiles, can be seen as complementary to the Islamic fragments, generally preceding the production of the embroidered material. Ever since starting his career in Egyptology in 1890, when Percy Newberry was appointed to direct a survey expedition to Beni Hasan and El-Bersha at the young age of twenty-one, he spent much of his life in Egypt . Until 1905 he was involved in a series of excavations, including a survey of the Theban Necropolis. In 1906 he was appointed Brunner Professor of Egyptology at the University of Liverpool, a post he held until 1919. His second wife Essie was independently wealthy, so that he could afford to give up the Chair and devote more of his time to field excavations; virtually every winter was now spent in Egypt. Ten years later, in 1929, Newberry accepted a second academic chair, this time as Professor of Ancient History and Archaeology at Cairo University, where he remained until 1932. He then retired and moved back to Britain; he was sixty-three by then . By this time he had established his monumental collection of historical fabrics. Newberry and his wife shared a great interest in textiles, in particular in embroidery. Both published occasional articles on the technique and design of stitching; it was evident that their fascination with the material went beyond the aesthetic appeal and included a desire to understand the history of technique (Newberry, E.W. and Pesel 1921; Newberry, P.E. 1923; Newberry, E.W. 1936, 1939, 1940). They used pieces from their own collections to illustrate their discussion. As we know from the surviving correspondence and archival evidence, they also made detailed notes on the collections; a manuscript in the handwriting of Percy Newberry on the development of design and technique, written in pencil on cards and probably intended as lecture notes, as well as sketches and note scraps, are held in the Griffith Institute’s archive and in the Department of Eastern Art, Ashmolean Museum . Essie Newberry is still remembered today as an active and influential member of the Embroiderers’ Guild: she was the Guild’s long-serving Vice-President (1922-1945) and acted as Honorary Treasurer from 1935 to 1938. Independently from her husband, she collected embroideries from the Mediterranean, especially the Greek Islands and Turkey, as well as an outstanding group of Central Asian suzani, richly embroidered ornamental hangings. Her collection is now mainly in the Whitworth Gallery in Manchester, with some pieces also owned by the Embroiderers’ Guild. Medieval textiles found in Egypt are often associated with Fustat, the original Islamic site of what is now Cairo, founded after the Arab conquest of Egypt in 641 AD . Until the establishment of the Fatimid court at Cairo (al-Qahirah) in 969 AD the location was the country’s major urban centre, but then slowly became more peripheral, and eventually was a mere suburb to the new location Northeast of Fustat. In 1168-9 it was intentionally destroyed by fire and briefly abandoned, to avoid capture by the Christian crusading army that tried to conquer Cairo. Although Fustat was resettled during Saladin’s rule, it never recovered the same vitality and finally was largely abandoned by the end of the thirteenth century. Only the area near the Nile and the mosque of ‘Amr, as well as the streets to the east of the old Byzantine fort of Babylon remained inhabited; today this is still the religious centre for the Coptic community, with several churches and convents in the location. On the edge of it stands the synagogue which provided the Genizah papers studied by Goitein and others . Otherwise Fustat has become Cairo’s waste disposal area - a function that has a long history going back to its abandonment as an urban centre in medieval times. Until the early 1980's parts of the rubbish heaps to the North-East of the Coptic community also were an important, if chronologically difficult, archaeological site (Bahgat and Gabriel 1921; Scanlon 1986; Kubiak 1987; Scanlon and Kubiak 1989); in 1985 Roland-Pierre Gayraud started excavations at the southern site of Istabl ‘Antar (Gayraud 1986, 1999). The latter and the last excavation season carried out by Scanlon and Kubiak at Fustat-C brought to light textiles that are also of relevance to our collections (Mackie 1989). By the early 20th century Fustat had apparently become the source of collectable fragmentary materials - ceramics, glass, textiles - that found their way into the shops of various art dealers in Cairo and Alexandria. Although strictly unprovenanced, these items may partly have come from the disposal mounds, but the grave sites of southern Fustat are also a likely source. In notes on a few of the embroideries, Newberry refers to Akhmim as a possible place of origin. None of the fragments came from controlled excavations. I have argued elsewhere that the term ‘Fustat textiles’, often a generic catch-all for textile fragments from medieval Egypt, should really be abandoned and be replaced by a definition of the intrinsic material, i.e. Indo-Egyptian textiles for the block-printed cotton fragments traded from India, and Islamic embroideries for the material covered here (Barnes 1990, 1997: I: 26-32). Your news about the embroideries and other textiles which you have acquired from Fostat &c. sounds most exciting, especially the printed stuff. We have very little of this type of work from Egypt in the Museum . In the same letter there is a reference to George Hewitt Myers from Washington, D.C. and A.B. Benaki from Athens, both avid collectors of textiles who eventually founded important museums . The Newberrys were bringing together their collection at a time when a great many finds appeared on the market, and they had first choice thanks to their location at the time in Cairo. As we hear in the first letter quoted, two types of textiles in particular interested Newberry: embroideries and block-printed cotton textiles, the latter eventually identified as Indian (Pfister 1936, 1938). Textiles decorated by a weaving technique, such as tapestry, is underrepresented in the collection. It seems that Essie and Percy Newberry’s interests extended in particular to design applied onto a plain weave fabric, either by block-printing or embroidering. However, within this defined range the collection is outstanding, even unique in its scope, both in terms of number and variety of design. As evidence for textiles used in Egypt during the medieval Islamic period, the Newberry collection does not have the breadth of types as is represented, e.g., in the Bouvier collection in Geneva (Tissus d’Egypt 1993). But for an in-depth source of information about two distinct groups, i.e. the embroideries and Indian trade cloths, it has no rival. As fragments of this type do not come from a treasury context, they do not primarily emphasize the luxury end of the industry, but give a representative view across a wide spectrum of society, as found in an urban centre such as Cairo, with its extensive international links. This issue will be taken up again towards the end of the following chapter, which focuses specifically on the collection. During the 1920s there was considerable interest in the history of textile design, and embroidery played a particular part, especially in Britain. The Embroiderers’ Guild was set up in 1921 to promote both quality craftsmanship in the technique and knowledge of the history of applied stitching in different cultures. This interest had to a large degree grown out of the Art and Craft Movement, as is evidenced by the name 'guild’, which is used as an evocation of a traditional, pre-industrial craft affiliation. The Newberry collection of embroideries has to be seen in this context: it was to be a study collection to provide evidence of the wide possibilities of technique and design. On the return to Britain in the early 1930’s, the collection was established and started to attract the attention of scholars, as is clear from Percy Newberry’s correspondence now kept in the Griffith Institute’s archive . Carl Lamm visited the Newberrys at their home in Surrey in 1935 and refers to the collection in his publication (1937b) on Mamluk embroideries, although the article focuses rather on collections in Swedish museums. He does, however, make use of the Indo-Egyptian part of the textiles in his book on cotton in Egypt (1937a). Apart from the Newberry’s own short articles, both publications are the first reference in print to the significance of the Newberry collection, although Lamm’s discussion of the Indian printed textiles is now of very limited value, as it was quickly supplanted by the research of others (Pfister 1936, 1937, 1938; see also Barnes 1997a: I: 19). Essie Newberry herself published fourteen of the embroidery fragments, plus several line drawings of designs from additional pieces (1940). The embroideries received further attention from Nancy Britton. 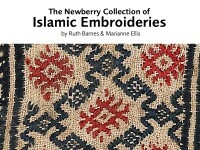 As curator in the Museum of Fine Art in Boston, she had previously published on Islamic textiles (Britton 1938). Now living in England during the early years of World War II, she had the opportunity to study the material in some detail. As is evident from her correspondence with Percy Newberry, she was generously given full permission to use the collection, even to the point of taking some of the folio volumes away into her own custody. She published a limited number, in particular some of the tiraz textiles and others with inscriptions (Britton 1943). However, as some of the albums had been on loan to researchers (Nancy Britton and Muriel Claydon), the transfer to Oxford was not completed until 1946 . Newberry also decided to leave his egyptological notes and correspondence to the Griffith Institute in Oxford, which had become one of the major archives for egyptology . The Ashmolean Museum was therefore indeed an appropriate institution to receive his gift, although it took several decades for the collection to be made available for study purposes. Percy Newberry died on 7 August 1949. The entire Newberry collection was deposited in the Museum's Antiquities Department. The textiles had been collected and stored in large folio books, with the fragments glued to cardboard sheets that measured 43 cm x 35.5 cm. Often more than one fragment was fixed to the backing. The Museum kept the original sequence established by Newberry, although the folios were discarded and the textiles transferred to solander boxes. An index of the collection was recorded on cards by P.L. Shinnie, and in 1956 the information was transcribed into a typescript catalogue by Miss A.G. Parke. This inventory described all items, with reference to the original box numbers and folio pages, but at the time did not include accession numbers. 9. location and record film number. As technical information is relevant both to the place of manufacture and to the social status of the textile, it was decided to make this information as complete as possible. For general terms relating to weaving terminology, Burnham (1980) has been the guide. For definitions of structural sewing terms describing seams and hems, Anne Morrell's invaluable short guide has been most helpful (1989). The identification of stitch technique was done with the cooperation of Marianne Ellis, who has a particular interest in the history of embroidery techniques. The terminology used for embroidered stitches is particularly bewildering, as different names often refer to the same stitch. The nomenclature in wide use frequently employs both technically descriptive terms, e.g. ‘pattern darning running stitch’, and geographically or culturally defined ones, e.g. ‘Holbein’ or ‘Algerian tent’ stitch. We decided to abandon the latter type and instead have opted for a technically determined terminology. No single source could be used to help us with our definitions, but the one most frequently consulted was Mary Thomas' Dictionary of Embroidery Stitches in its original 1930’s edition (1938). Marianne Ellis has recently published a selection of the embroidered fragments (Ellis 2001). The catalogue information attempts to be factual and avoids stylistic comparisons, as well as dating attempts based on these. Where a date is available following radiocarbon analysis, however, this is included. A total of forty-eight textiles have been dated by this method, of which thirty-four are in the group accessioned in 1984, two are from the 1988 group, and twelve come from those accessioned in 1993 . The dates are also listed separately here in Appendix II, first in a list of uncalibrated dates, followed by the calibrated results prepared by the Oxford Radiocarbon Accelerator Unit . These dates provide crucial tests for the conventional art historical interpretation which will eventually be part of the introductory text to the full publication of the collection. Apart from the need of accessioning, the collection also provided a considerable conservation problem. It was obvious that the fragments needed to be removed from their cardboard backing and should be kept under more favourable conditions. The fragments were transferred to the Department’s conservation laboratory, where they were steamed off their original backing, and the animal glue that had been used to stick the fragments to the acidic paper was also removed as far as possible, with the help of distilled water. Each textile was steamed again to relax the fibres, and was then pressed under glass. A folder was prepared for every fragment, cut from acid-free cardboard, and an internal frame of the same material was added. It contains a single layer of vilene (pure spun polyester). The textile fragment rests on the backing without further attachment, so that its reverse side can be easily inspected. This system of storing the textiles is very successful for the Indian block-printed cotton pieces, but has proven to be less so for the embroideries. The slight traction provided by the vilene in the long run is damaging to the fine silk floss used for the stitching and leads to further deterioration of the fragments, so that the conservator eventually changed to the use of cotton lawn to replace the vilene. Many of the embroideries accessioned in 1984 still are kept in folders with a vilene backing and require further storage treatment. All embroidery fragments first accessioned in 1984, 1988, and 1993 record the original location in Newberry’s old box numbers, so that any additional comment made by him can be found by cross-reference to the type-script inventory of 1956. The fully annotated catalogue is currently kept as a Microsoft Access database in the Department of Eastern Art. This printed version records all fragments accessioned in 1984 and 1988; it represents the catalogue work supported by the Leverhulme Trust and carried out between September 1997 and August 2000. Marianne Ellis’ catalogue of the textiles accessioned in 1993 is currently available separate folders in the Department of Eastern Art’s Print Room. A publication of the entire collection of 1010 embroideries is in preparation, as a complementary volume to the catalogue of Percy Newberry's Indian block-printed textiles. There is a total of 1010 pieces, most of them fragmentary, but with the stitched designs still visible. The majority of textiles are embroidered in silk on a linen ground fabric. A few fragments are of cotton fabric, and occasionally cotton or flax may also be used for the embroidery. More than 25 different stitch techniques are used, some of which need to be divided into subgroups, usually further defining, e.g., the direction the stitch has been worked; see Appendix I for a list of stitches, as well as their numerical representation. By far the most common are various versions of running stitch, a close counted herringbone, split and chain stitch, and a variety of filling stitches. More will be said about the chronological distribution of stitches later on, when dating of the textiles is discussed. A small number of textiles are not embroidered, but have a pattern woven into the structure, either by using a tapestry weave or by manipulating the prearranged warp and weft to create a design. In addition there are a few pieces where a design is drawn or painted onto the plain weave ground fabric. The majority of these are in the group accessioned in 1988. There also are three ikat cotton fragments, made in the Yemen and exported to Egypt . Despite the fragmentary nature of the material, it is often possible to come to conclusions about the original function of the textiles. Seams and hems clearly indicate that many of the embroidered fragments were once used as shawls or sashes, or were part of larger garments, such as tunics. A complete child’s tunic [EA1984.353] and several caps in the collection confirm the use of embroidered designs as embellishments for dress items . Sleeves and trouser legs also were stitched near the edge; [EA1984.350] is the best preserved of these. It is the lower part of a trouser leg and shows that only the part to be visible was embroidered. The collection’s functional interpretation inevitably depends heavily on Dozy’s classic study of Islamic dress (1845), on Mayer’s publication on Mamluk clothing (1952), and on Yedida Stillman’s more recent survey of the history of clothing in the Muslim world (1986). In addition, there is a large part of the collection that was clearly once used for furnishings, such as pillows, or wall hangings decorated with valances and tabs. These hangings and curtains may have been used both inside and outdoors. One pillow case [EA1984.172] is preserved in its entire outline and even retains a small button. Large tabs and rectangles, frequently appliquéd, were almost certainly once part of banners or flags, used in processions and other display events. One fine Mamluk embroidery [EA1984.100] has a densely woven, strong backing and may once have been part of a tent. Most textiles, therefore, had a functional purpose. However, textiles - whether used as dress, domestic items, or as architectural ornament - inevitably have a message to convey which visually helps to define the social and economic standing of the owner, and which may give clues to his or her cultural and religious affiliations. The embroidered textiles are no exception. Typically the thread count is at least 20/20 per cm2 with a thread diameter of 0.5 mm, and a higher thread count where the fibre diameter is smaller, so that the weave is usually dense. The flax fibre has usually been bleached, so that it appears white to cream-coloured. The relative fineness of linen, the density of weave, and the embroidery threads (silk) used for most textiles suggest that the people who used the garments were at least of comfortable economic standing. They could afford good quality clothing, with finely embroidered decorations. The emblems on some fragments even identify the wearer with a courtly context and the occupation of a specific office in the sultan’s entourage: these blazons are specifically associated with the Mamluk period . There are some few textiles that are of such fine quality that they could only have been made for a very wealthy owner. The generally high standard of embroidery suggests that they were produced professionally, and are likely to have been woven and stitched in workshops, some obviously supplying the court. Yet - as Patricia Baker has pointed out in her survey of Islamic textiles (1995) - the role of embroideries in Islamic societies has so far been a neglected topic in the discourse of Islamic art history. The one exception is the study of tiraz textiles, named after the Persian word tarazidan, ‘to embroider’, and referring initially to court-related robes of honour with embroidered (and later woven) inscriptions. These robes were initially given as special signs of recognition of office and loyalty to the ruler’s subjects, especially to courtiers, but eventually spread more widely throughout the community. These wearable markers of distinction played an important part in early Islamic societies, starting with the Damascus-based Umayyad dynasty and continuing through the Abbasid caliphate in Baghdad and the Fatimid reign in Cairo. Their religious and political role, but eventually also their wider consumption has been recognized and studied by scholars of Islamic art and culture for decades (e.g. Britton 1938. 1943; Kühnel and Bellinger 1952; Contadini 1998). In Egypt the embroidered tiraz were widely employed into the Fatimid era (969-1171), but began to be replaced by tapestry-woven inscription bands and finally lost their importance during the Mamluk reign, when the role of the caliph was marginalised. But as the Newberry collection shows, embroidery had a much wider application. In the name of God. Praise be to God. The favour of God to the servant of God, Abu’l-‘Abbas, the Imam, al-Mu‘tadid billah. Commander of the Faithful, may God strengthen him. This is what he ordered, may God glorify him, to be made in the workshop of Tinnis, at the hands of ‘Ubaid Allah, son of Sulaiman, in the year 288 [901 A.D.]. Peace. Harun, son of Khumarawaih, client of the Commander of the Faithful. The identical style of inscription, also embroidered in dark blue silk, appears on a tiraz found with a body at Istabl ‘Antar, and includes the same date (932) (Gayraud 1999: 460-62, I11. 97). It is tempting to think that both textiles were made in the same workshop, according to Gayraud to be located in Iraq. But only a small part of the Newberry collection is made up of tiraz; there are 32 in total, of which 11 give evidence for date and provenance. The great majority of the embroideries have no inscriptions, and they could initially be interpreted on stylistic grounds alone. Following this approach, one comes to the conclusion that the material goes back to the Tulunid and Fatimid period, has a vast number of textiles from the Mamluk reign, and extends into the Ottoman period of expansion over the Levant and Egypt, which occurred in the early 16th century . When I began to work on the material, I decided to test this assumption, by applying radiocarbon dating to certain stylistically ‘typical’ pieces. Successful C-14 dating had already been carried out on a number of pieces in the collection of Indian cotton fragments, as will be discussed below (Barnes 1996, 1997a, 1997b). A full discussion of the results is being prepared. All radiocarbon dated results are presented in Appendix II. In general the results fit comfortably into the stylistic history of Islamic art in Egypt, especially once the C-14 results are considered in terms of their calibrated dates. However, not only are these dates reassuring for stylistic reasons, but they also clearly establish certain technical preferences which have not been previously noted. The Fatimid embroidery falls into two groups. The first is generally based on naturalistic representations, of plants and birds, as we also find in other media. The second group is made up of tiraz textiles . The stitch technique in which both groups are embroidered is overwhelmingly done in outline-, stem-, split-, or chain-stitch, in other words in a technique that supports flowing, organic lines, applied in a free style that may ignore the strict vertical/horizontal structure of warp and weft. With a few exceptions, the embroideries of the first group, showing naturalistic representations, also are not of superior quality. High quality embroidery is certainly mentioned in written sources during the Fatimid era, including in references to luxury gold thread stitching (Contadini 1998: 51-2). The most famous surviving example for the latter is the gold embroidered ground fabric of the coat for Roger II, made by craftsmen in Sicily. In our collection, however, it is specifically in evidence in the making of tiraz textiles. For ornamental patterning of luxury textiles, a woven design executed in tapestry weave was apparently more common. Judging from the Newberry collection, embroidered garments (except for tiraz purposes) were often a ‘poor man’s’ version of pattern-woven dress with fine tapestry designs. This changed dramatically with the arrival of the Ayyubid and the Mamluk rulers. As the radiocarbon results show, embroidery of exceptional quality survives from Egypt from the earliest beginnings of the Ayyubid reign, from the end of the 12th century. This represents a foreign influence that arrived in Cairene society. The Ayyubid rulers from Syria seem to have brought a faible for high quality embroidery techniques with them. It is unclear at the moment if at this early stage they would have moved craftsmen to their new places of political dominance, or if they relied on local workshops. It is also possible, of course, that these exceptional embroideries were produced in Syria or northern Iraq. Here attention should be given to a technical peculiarity that can be observed in the collection. Most of the early embroideries were done on a fine linen ground fabric, the cloth usually associated with the weaving workshops of Lower Egypt and the Nile Delta. Ever since Louisa Bellinger’s observation that flax fibre twists in an S direction when drying, and that in her opinion s-spun flax therefore produced a more durable thread than a z-spun one, it is always stated in the literature that these linen textiles were s-spun (Bellinger 1950). This is not confirmed by the Newberry material. The vast majority of fragments are z-spun. The implications this observation has may be considerable. First of all, we may have to abandon the notion that flax has to be s-spun to produce a good-quality cloth. Secondly, we either have to assume that the raw flax was exported from Egypt, to be woven - and possibly embroidered - elsewhere, where spinning was done in a z-direction, as was common in the Levant and further East; or that not all thread spun in Egypt followed the s-twist. The Fatimid linen tiraz in the collection are indeed s-spun, but the non-tiraz textiles generally are not - including some that are apparently of Fatimid date . But spinning thread is a conservative and habit-bound occupation, not affected by change of taste. We may see evidence here, therefore, either of the movement of craftspeople into Egypt, or of a major export of raw material, to be further processed elsewhere and then reimported into Egypt. We can also observe a significant change in stitch technique at this time. The early embroideries, specifically of Ayyubid date, use laid couching and stem stitch, as well as buttonhole, and in that respect they do not depart technically from the Fatimid embroideries; but the quality of execution is in a different class entirely. Extremely complex and densely arranged designs appear at this time, as can be seen in [EA1984.108] and [EA1984.120.a and EA1984.120.b]. It is this technical aspect that poses the question of where the embroiderers came from: were they imported from the East, or were they initially trained in the royal Fatimid workshops and adapted to the taste of the new rulers? Then a second change appears, which had a profound effect on the appearance of Cairene dress ornament. Within a generation we find the introduction of counted stitch, in particular counted running and double running stitch, but also counted satin and herringbone stitches. These had previously not been used in embroidery surviving from Egypt. At some time between the early and mid 13th century, most of the designs created take on a strongly geometric form, with a mathematically observed variation of rhombic shapes, diamond patterns, triangular and rectangular forms which are broken down into geometric fragments, to be endlessly reassembled in new designs. Even when the embroidered motifs are organic rather than geometric, they often are carried out in counted filling stitches. It needs to be emphasized that none of the finely worked counted stitch embroideries have any evidence of tracing or drawing the designs onto the fabric prior to stitching, although a few of the free-style floral designs do have these, as can still be discerned where the embroidery silk has deteriorated. We can only understand these intricate designs worked in counting stitch as a feat in mathematical understanding, where small-scale geometric units are combined to form an over-all picture of infinite complexity. We observe a completely new aesthetic in these textiles, which has its parallels in the Seljuk art and architecture of Iraq and Iran, and in the Ghasnavid architecture of Afghanistan. Even when blown up a hundred times into tile and stucco architectural ornaments, there still is a clear conceptual relationship between the organisation of design on these eastern Islamic towers and facades, and the minutely counted embroidery bands that survive from Egypt. The Newberry collection provides a unique glimpse of the training of skills involved, as there are numerous samplers which obviously were practise pieces and exercises in building up complex designs from basic pattern units. Among those so far radiocarbon analysed, the earliest one is dated 1155 +/- 50. As stylistically the sampler does not fit into the Fatimid era, the later date range is more likely; but it still implies that this method of building up designs from carefully counted pattern units was beginning to take hold in Egypt soon after the Ayyubid dynasty was established. At least by the time the Mamluk sultans ruled in Egypt and Syria, this - for the local clientele - exotic eastern aesthetic had swept the fashion scene of Cairo. As we can tell from the quality of fabric, with a high thread count that coincided with a fine thread diameter of the linen, and the precision of the silk embroidery, these textiles were produced for a well-to-do clientele. Courtly emblems showed that they were certainly used in the Sultan’s palace, but they seem to have had a much wider distribution, soon being used in textiles that were ‘middle-class’, rather than reserved for an elite. Embroideries as a means to decorate textiles, and going far beyond the rather austere tiraz inscriptions, had certainly arrived to stay, and they became a highly developed form of visual representation. Ultimately the Egyptian (and probably Syrian) embroidery had a significant impact on the development of Greek Island embroidery, an influence that has so far only fleetingly been explored (Trilling 1983: 22-25). Of course these eastern-inspired textiles were by no means the only oriental textile items in demand in Mamluk Egypt. Chinese and Central Asian silks were much in favour, and a technological switch from the Egyptian tapestry loom to the use of draw looms that arrived ultimately from China via Central Asian craft weavers expanded the artistic potential of cloth weaving. Generally speaking, weaving designs on a tapestry loom produces a relatively weak structure, so that patterning is often restricted to bands or medallions, while the draw loom facilitates overall, continuous patterning of the entire length of textile. It is generally accepted that this loom technology moved westward with master weavers displaced by the Mongol invasions. All this affected the luxury market in fabrics in the Mamluk empire. But instead of expanding on this issue here, it may be of value to look at the second large collection donated by Newberry, made up mainly of Indian block-printed material . Fabric of this type was - although generally not part of the luxury trade - extremely popular and had a wide-spread appeal. The embroidery collection in the Ashmolean Museum is impressive in its size. But an even larger part of the Newberry collection is made up of Indian textiles traded to Egypt. There is a total of more than 1200 cotton fabrics, mostly block-printed, but some also with hand-painted designs. The textiles have been dyed either blue, any variety of red, or a combination of blue and red. We know from historical documents that these cotton cloths were in particular made in northwestern India and were exported by sea from the ports of Gujarat. The majority of them are likely to have been traded via Aden and the Red Sea into Egypt, although a certain number of them may have reached the Levant via the Persian Gulf and traded to Iraq and Syria, eventually to make their way to Cairo. As the embroideries, these fabrics often have seams, gussets, and remains of hems, and in some fragments we can make out the former neckline of garments. Others, usually with large-scale designs, have tabs that indicate that they were intended to be used as hangings, or possibly as pillows. In other words, like the embroideries, these Indian textiles were imported to be turned into functional items of clothing or furnishing. The cotton fabrics were probably not expensive; in fact we may hear references to them in written documents from the Genizah documents as well as possibly in tax records from Aden, where cotton goods from Gujarat, called mahabis and identified as ‘red and black’, are mentioned as selling for 1/3 of an Egyptian dinar, or 1 Aden dinar (Barnes 1997a: I: 40). They were imported as complete lengths of cloth, then to be cut up and tailored locally. They were popular as robes, worn by men and women alike, and were also used to make pillows and other domestic furnishings. Regarding their dates, they have been radiocarbon dated, and we now know that the trade with Indian cotton textiles for common consumption was established with the Fatimid dynasty, i.e. the 10th century AD. At the time, trade links between Egypt, the Yemen, and India, especially with the west coast of the subcontinent, were strongly developing. The Mamluk era continued this important trade, and gained much of its wealth from the international contacts to the East, to Arabia, India, and South-East Asia. We know, therefore, that they must have had a considerable presence in the urban picture of Cairo between the 10th and the 15th century. They also were used in provincial centres in Egypt, as their survival from the Nubian site of Qasr Ibrim, from Gebel Adda, and the Red Sea harbour of Quseir al-Qadim indicates. Finally, one may consider the implications this has. Both the embroideries and the Indian cotton fabrics were found at the same time, in the same environment, and possibly used by the same people. Men and women who admired the precisely arranged, geometrically designed embroideries, which usually have a restrained colour scheme of blue, brown, sometimes red and the natural silk on undyed, often carefully bleached linen, and made use of them in fashionable dress items, also wore Indian block-printed cotton garments with bold, yet subtle colours in deep blue and a variety of reds and purples. The full extent of a similar cross-cultural exchange and its effect on the appearance of the local consumer is often not recognized until it is linked with a modem so-called global economy. The trade and consumption of luxury items, and their effect on courtly art, is an old topic in Islamic - and Western - art history, but it may be time to expand this view and take in a broader spectrum, and consider the wider implications of ‘taste’ and ‘aesthetics’ in a particular era, and how they affected the average consumer. Bahgat, Aly and Albert Gabriel 1921. Fouilles d'al Foustat. Musee de l'art Arabe du Caire. Baker, Patricia L. 1995. Islamic Textiles. London: British Museum Press. Barnes, Ruth 1990. Indian Trade Cloth in Egypt: The Newberry Collection. In: Textiles in Trade. Proceedings of The Textile Society of America Biennial Symposium. Washington, D.C.
- 1996. Indian Trade Textiles. Hali 87: 80-85. - 1997a. Indian Block-Printed Textiles in Egypt. The Newberry Collection in the Ashmolean Museum, Oxford. 2 vols. Oxford: Clarendon Press. - 1997b. From India to Egypt: The Newberry Collection and the Indian Ocean Textile Trade. In Otavsky, Karel (ed.) Riggisherger Berichte 5: Islamische Textilkunsl des Mittelalters. Aktuelle Probleme. Riggisberg/Berne: Abegg-Stittung. Bellinger, Louisa 1950. Textile Analysis: Early Techniques in Egypt and the Near East. Textile Museum Paper No. 2. Washington: Textile Museum. Britton, Nancy P. 1938. A Study of Some Early Islamic Textiles in the Museum of Fine Arts. Boston.Boston: Museum of Fine Arts. - 1943. Pre-Mamluke Tirāz in the Newberry Collection. Ars Islamica IX: 158-166. Burnham, Dorothy K. 1980. Warp and Weft, A Textile Terminology. Toronto: Royal Ontario Museum. Butler, Alfred J. 1902. The Arab Conquest of Egypt and the Last Thirty Years of the Roman Dominion. Oxford: Clarendon Press. - 1914. Babylon of Egypt. A Study in the History of Old Cairo. Oxford: Clarendon Press. Contadini, Anna 1998. Fatimid Art at the Victoria and Albert Museum. London: V&A Publications. Cornu, Georgette 1992. Tissus Islamiques de la Collection Pfister. Vatican City: Biblioteca Apostolica Vaticana. Dawson, Warren R. and Eric P. Uphill 1972. Who was Who in Egyptology. Second edition. London: The Egypt Exploration Society. Dozy, Reinhart P.A. 1845. Dictionnaire detaille des noms des vetements chez les Arabes. Amsterdam: J. Muller. Eastwood, Gillian M. 1982. Textiles. In Whitcomb, Donald and Janet Johnson Quseir al-Qadim 1980 Preliminary Report. Malibu: Undena. Ellis, Marianne 2001. Embroideries and Samplers from Islamic Egypt. Oxford: Ashmolean Museum. Gayraud, Roland-Pierre 1986. Istabl ‘Antar (Fostat) 1985: rapport de fouilles. Annales Islamologiques XXII: 1-26. - 1999. Le Qarafa al-Kubra, derniere demeure des Fatimides. L 'egypte Fatimide, son art et son histoire. Paris: Presses de l’Universite de Paris-Sorbonne. Goitein, S.D. 1963. Letters and Documents on the India Trade. Islamic Culture 37: 3: 188- 205. - 1967. A Mediterranean Society. The Jewish Communities of the Arab Qorld as Portrayed in the Documents of the Cairo Geniza. Vol. I: Economic Foundations. Berkeley and Los Angeles: University of California Press. - 1968. Studies in Islamic History and Institutions. Leiden: E. J. Brill. - 1971. A Mediterranean Society... Vol. II: The Community. Berkeley and Los Angeles: University of California Press. - 1978. A Mediterranean Society... Vol. Ill: The Family. Berkeley and Los Angeles: University of California Press. - 1983. A Mediterranean Society... Vol. IV: Daily Life. Berkeley and Los Angeles: University of California Press. - 1988. A Mediterranean Society... Vol. V: The Individual: Portrait of a Mediterranean Personality of the High Middle Ages as Reflected in the Cairo Geniza. Berkley and Los Angeles: University of California Press. Kubiak, Wladyslaw B. 1987. Al-Fustat. Its Foundation and Early Urban Development. Cairo: American University in Cairo Press. Kühnel, Ernst 1927. Islamische Stoffe aus ägyptischen Gräbern. Berlin: Wasmuth. Kühnel, Ernst and Louisa Bellinger 1952. Catalogue of Dated Tiraz Fabrics: Umayyad, Abbasid, Fatimid. Washington, D.C.: The Textile Museum. Lamm. Carl Johan 1937a. Cotton in Mediaeval Textiles of the Near East. Paris: Paul Geuthner. - 1937b. Some Mamluk Embroideries. Ars Islamica IV: 65-76. Mackie, Louise 1989. Textiles. In: Scanlon, George T. and W. Kubiak Fustat Expedition Final Report vol.2: Fustat-C. American Research Center in Egypt 11. Winona Lake: Eisenbrauns. Mayer, L.A. 1952. Mamluk Costume. Geneva: A. Kundig. Morrell, Anne 1989. The ATN Guide to Structural Sewing: Terms and Techniques. Manchester: Manchester Polytechnic. Newberry, Essie W. 1936. Turkish Towels and their Designs. Embroidery (June) IV: 51-62. - 1939. The Embroideries of Morocco. Embroidery VII:2: 29-35. - 1940. Embroideries from Egypt. Embroidery VIII: 1: 11-18. Newberry, Essie W. and Louisa F. Pesel 1921. A Note on Stitchery. In Kendrick, A.F., Louisa F. Pesel and E.W. Newberry A Book of Old Embroidery. London: The Studio. Newberry, Percy E. 1889. On the vegetable remains in the Cemetry of Hawara. In W.M.Flinders Petrie Hawara, Biahmu and Arsinoe. London: Field and Tuer, ‘The Leadenhall Press'. - 1890. The Ancient Botany. In W.M. Flinders Petrie Kahun, Gurob and Hawara. London: Kegan Paul, Trench, Trübner and Co.
- 1923. Some Near Eastern Embroidery Designs. Embroideress 1: 74-77. Pfister, R. 1936. Tissus imprimées de l'lnde medievale. Revue des Arts Asiatiques X:161-4. - 1937. Nouveaux Textiles de Palmyre. Paris: Les Éditions d'art et d’histoire. - 1938. Les Toiles Imprimées de Fostat et l’Hindoustan. Paris: Les Editions d'Art et d'Histoire. Scanlon, George T. 1986. Fustat Expedition Final Report Vol.l: Catalogue of Filters. American Research Center in Egypt Reports 8. Winona Lake: Eisenbrauns. Scanlon, George T. and Wladyslaw Kubiak 1989. Fustat Expedition Final Report Vol.2: Fustat-C. American Research Center in Egypt Reports 11. Winona Lake: Eisenbrauns. Stillman, Yedida K. 1972. Female Attire of Medieval Egypt: According to the Trousseau Lists and Cognate Material from the Cairo Geniza. Ph.D. dissertation. University of Pennsylvania. - 1976. The Importance of the Cairo Geniza Manuscripts for the History of Medieval Female Attire. International Journal of Middle East Studies 7: 579- 589. - 1986. Libas. The Encyclopaedia of Islam. Leiden: E.J. Brill. Tissus d'Egypt. Témoins du monde arabe VIII-XVsiècles. Collection Bouvier. 1993. Musee d’art et d’histoire: Geneva/Institut du monde arabe: Paris. Thomas. Mary 1938. Dictionary of Embroidery Stitches. London: Hodder and Stoughton (first published 1934). Trilling, James 1983. Aegean Crossroads. Greek Island Embroideries in the Textile Museum. Washington, D.C.: The Textile Museum. Whitcomb, Donald and Janet H. Johnson 1979. Quseir al-Qadim 1978. Preliminary Report. Cairo: American Research Center in Egypt. - 1982. Quseir al-Qadim 1980. Preliminary Report. American Research Center in Egypt Report 7. Malibu: Undena. Wulff, O.K. and W.F. Volbach 1926. Spätantike und koptische Stoffe aus ägyptischen Grabfunden in den Staatlichen Museen. Kaiser-Friedrich- Museum, Ägyptisches Museum, Schliemann-Sammlung Berlin: Staatliche Museen. A full account of the history of the collection and of Newberry’s professional and personal life has been published as part of the catalogue of his Indian printed textiles (Barnes 1997a). Prior to his own involvement with expeditions, he had already contributed to Flinders Petrie’s publications on Hawara and Kahun (Newberry 1889, 1890). See Dawson and Uphill 1972 for a brief outline of his career. The entire correspondence addressed to Newberry is kept in the Griffith Institute, while the Department of Eastern Art has one archival box which is directly relevant to the collection. The founding of the Islamic community and the origin of Fustat’s name are most thoroughly discussed by Butler (1902, 1914). See bibliography for relevant publications by S. D. Goitein and Yedida Stillman. Newberry married twice. Very little can be discovered about his first wife, except that she was called Nelly [Helene] née Aders, and that he became engaged to her in January 1894. In 1900 he published The Life of Rekhmara which is dedicated ‘To my wife Helene Newberry who for three years was my companion at Thebes…’ He does not mention her in his later correspondence; he married his second wife in February 1907 (Barnes 1997: I: 13-14). The ‘printed stuff’ refers to Indian block-printed textiles traded to Egypt. The Victoria and Albert Museum never acquired a substantial collection of Indo-Egyptian textiles; its current collection numbers around twenty pieces, most of which are in the Indian and Southeast Asian Department, with a few fragments in the Textile Department. The Meyers collection became the foundation for the Textile Museum in Washington, and the Benaki Museum holds one of the finest Mediterranean textile collections. This is especially apparent in the letters from A.F. Kendrick, curator for textiles at the Victoria and Albert Museum. They are full of references to Newberry’s textile collection and to its historical value. Muriel Claydon from the Victoria and Albert Museum had been given permission by Newberry in 1936 to take away a large volume of the Indian printed textiles and had planned to start research on them. However, her work was delayed due to illness, and eventually the volume was evacuated as part of the Museum’s safe storage in the West Country, and could not be recovered until after the war. The Griffith Institute holds archival papers from Griffith himself, Flinders Petrie, and Gardiner, as well as Howard Carter. Newberry was partly responsible for the transfer of the latter material, as he negotiated between Carter’s niece and E.T. Leeds. There are three fragments from the Griffith collection, all cotton with warp ikat bands; they were made in the Yemen and exported to Egypt; see below p. 14, note 1. One silk tapestry-woven fragment was donated by the Rev. Chester (1988.51) [EA1988.51]. The initial cataloguing and conservation of the Indian material was supported by a generous grant from the J. Paul Getty Trust, with a grant from the Leverhulme Trust enabling further research and eventually leading to the publication of the collection. The conservation of the embroideries was supported by an anonymous donation, as well as by the Pilgrim Trust. The detailed cataloguing was again supported by a grant given to the Museum by the Leverhulme Trust, and the Barakat Trust made it possible to enlist Marianne Ellis’ technical expertise as an embroiderer. All dating was carried out at the Oxford Radiocarbon Accelerator Unit, with grants provided by the Natural Environment Research Council’s Oxford Radiocarbon Accelerator Dating Service. The support from ORADS is gratefully acknowledged, and I have found my colleagues at the Accelerator Unit always helpful. The latter is not always in sequence and is therefore somewhat difficult to use. Ikat is a resist-dye technique found in many parts of Asia. The three samples in the collection are 1988.21 [EA1988.21], 1988.73 [EA1988.73], and 1988.74 [EA1988.74]. The relevant accession numbers for the caps are 1984.123 [EA1984.123], 1984.126 [EA1984.126], 1984.127 [EA1984.127], 1984.131 [EA1984.131], 1984.367 [EA1984.367], and 1984.368 [EA1984.368]. See in particular 1984.35 [EA1984.35] and 1984.134 [EA1984.134] both of which have the diaper shape associated with the office of the master of the robes, and 1984.86 [EA1984.86], which combines the emblem with the chalice of the cupbearer. The only recorded blazon that shows this particular combination belonged to the Amir Kumushbugha al-Hamawi of Syria, who held both offices in 1381 AD. The Ottoman army captured in Cairo in 1516. The dated tiraz textiles also include a few that were produced before the Fatimid establishment of rule over Egypt in the mid-10th century, and therefore are associated with the Tulunid government, when ties of allegiance to the caliphate in Baghdad were still strong, at least in name. See e.g. 1984.104 [EA1984.104], which has an 11th or early 12th century calibrated radiocarbon date and stylistically clearly fits into the Fatimid period.